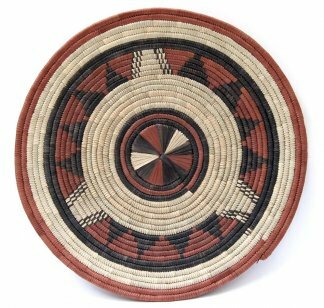 Handwoven flat basket (charger plate). 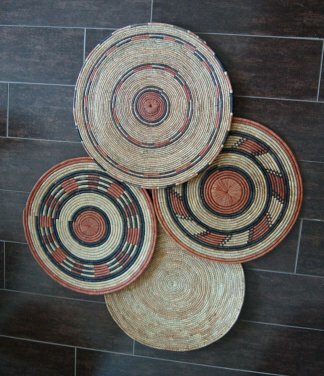 Natural fiber African flat baskets are an ideal way to add rustic texture to modern interiors. 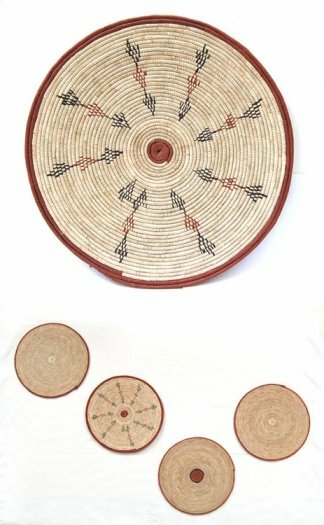 Equally at home as wall décor or tabletop accessories. 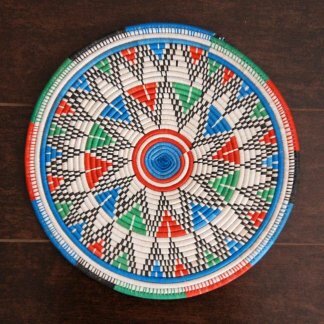 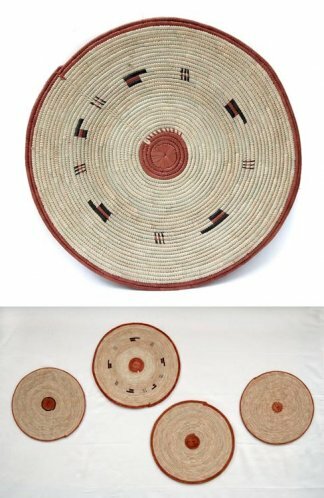 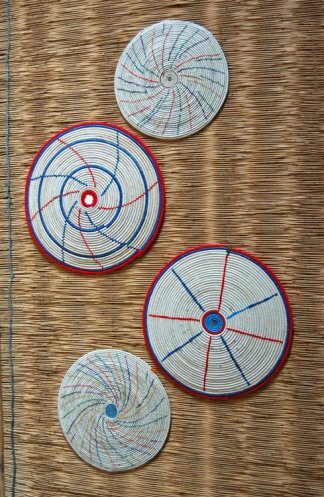 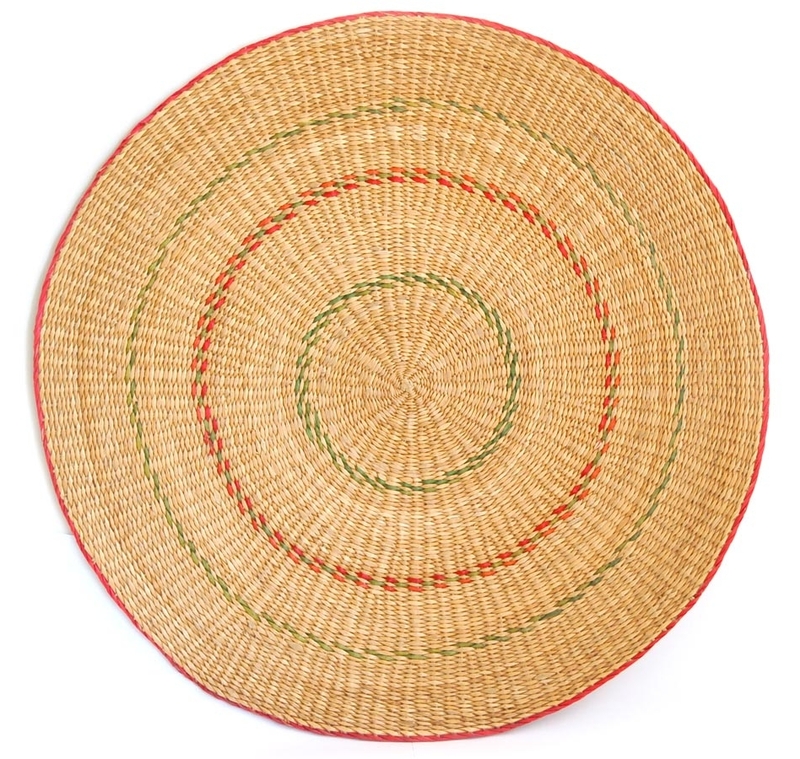 African flat basket or ‘woven plate’ with understated red and green accents. 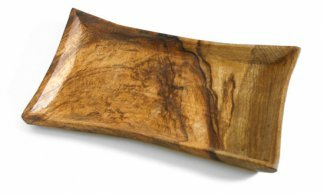 Works as a tabletop accessory or as wall decor. 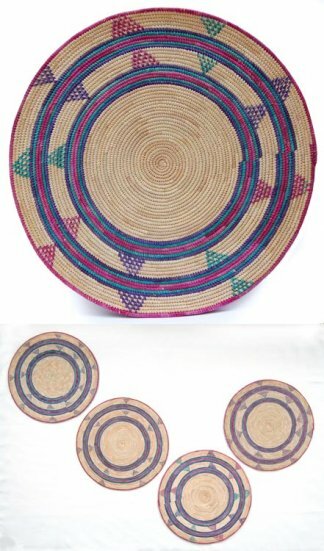 Handmade in Nigeria with natural fibers and organic vegetable dyes.